This is one of the most important techniques to master because of the way the cue ball travels afterwards. Let me explain. 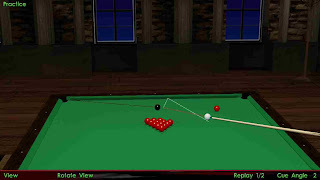 The cue ball will travel in a line perpendicular to the line which joins the object ball (OB) and the pocket, after successfully executing a stun shot. Look at the following images to learn more. 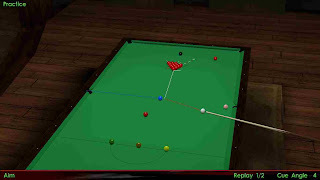 If you know the line where the cue ball will travel, then that, combined with the speed of the cue ball and the amount and type of english used, and of course with some knowledge about rail paths, will give you a fair idea where it will eventually come to rest, even after travelling 1, 2 or more rails. Look at the shot executed below, which makes the cue ball travel 2 rails to come in perfect position for the red in the center. Please note, that you can add some running or reverse english along with stun to make the cue ball travel multiple rails with ease or even less (in the case of reverse english), but more on that in articles to follow. For now, use only stun and no sidespin in this shot. 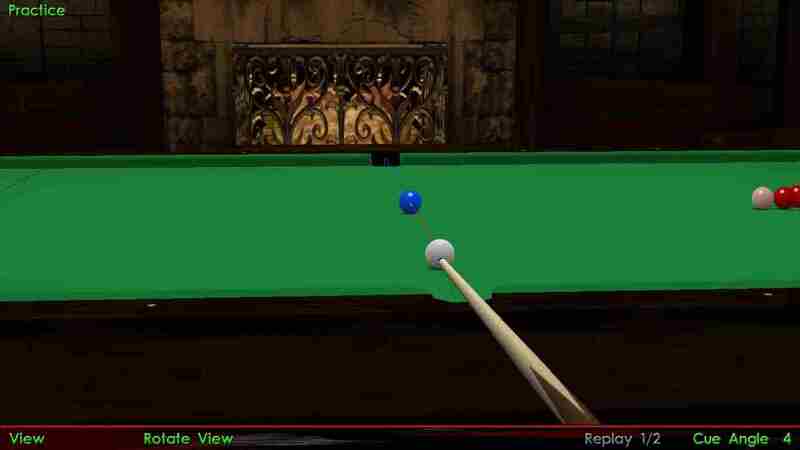 If stun doesn’t work perfectly on the table and you end up going towards the blue or even the pink, then use a little bit of bottom to change the direction of the cue ball and let it come more towards the red. 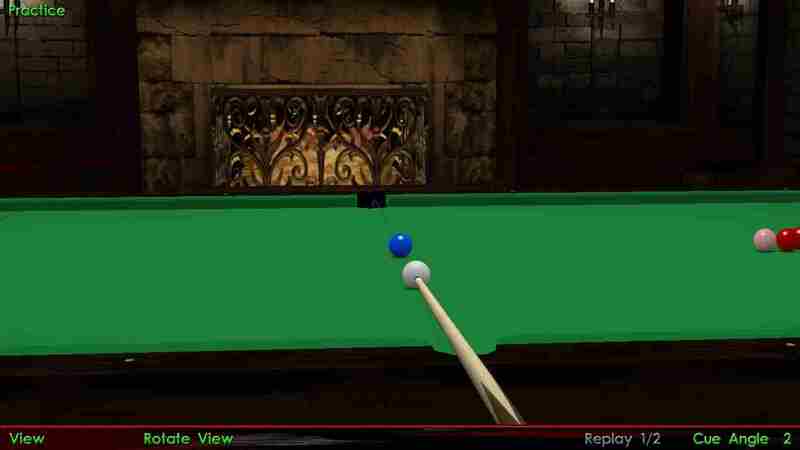 Keep in mind that whenever it is a straight pot, it will not be called a stun shot, but a “stop shot”, as the cue ball will travel very little or not at all perpendicular to the pot in any direction and just stop right there. How do you execute a stun shot to perfection? 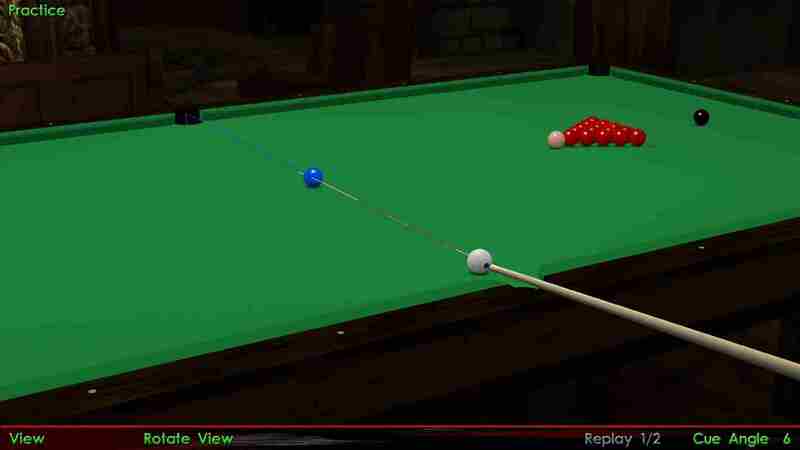 Well basically, you have to ensure that there is no forward or backward spin on the cue ball at the time of contact. What I would advise you is to just practice hitting short to medium distance straight pots at first. Try different combinations of speed, and the amount of bottom english that you give. For starters, place the blue on it’s spot, and try a straight pot it in the center. 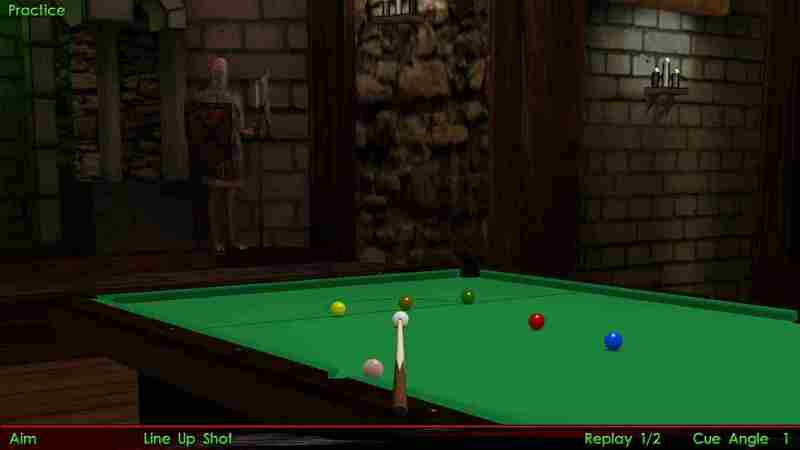 Try to stop the cue ball on the spot. Use medium speed and just a little bit of bottom english for this shot. Next try it with low speed and good amount of bottom english. Then, very low speed and extreme bottom english. Try to stop the cue ball at all times. put, while hitting with the same force. The cue ball stops as soon as it hits. A similar shot to the one on the left. increase the force to play the stop shot. For short distance shots, you can either use low speed and low (or bottom) english, medium speed and a little higher english, or high speed and higher but not above center hits on the cue ball. For medium distance shots, you can use medium speed and bottom english, a little lower speed and extreme bottom english, or high speed and some bottom english if required. 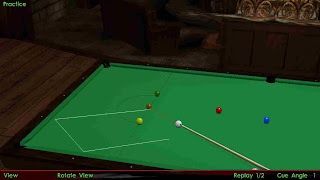 For long distance shots, use medium to high speeds only, and extreme to medium bottom english to ensure that the cue ball doesn’t acquire any forward motion so that the stun shot is executed to perfection. In my opinion, the most controllable stun shots are between three quarter ball and half ball shots. I will try to explain, say you have a quarter ball blue in the center, but the cue ball is on the opposite side such that you would have to apply stun with a little bit of draw or follow and come back 2 or 3 cushions for the reds near the pink area. Potting the blue may be easy, but consider playing for position after the pot, you will have to be very precise. It is very much make-able, let me admit, but much more difficult than a half ball blue. Also, a 3 quarter or a little more thicker blue in the center will be equally bad in this case if you have to travel through the baulk, because you would have to use a lot of force which might spoil the shot. This shot on the black is very common. 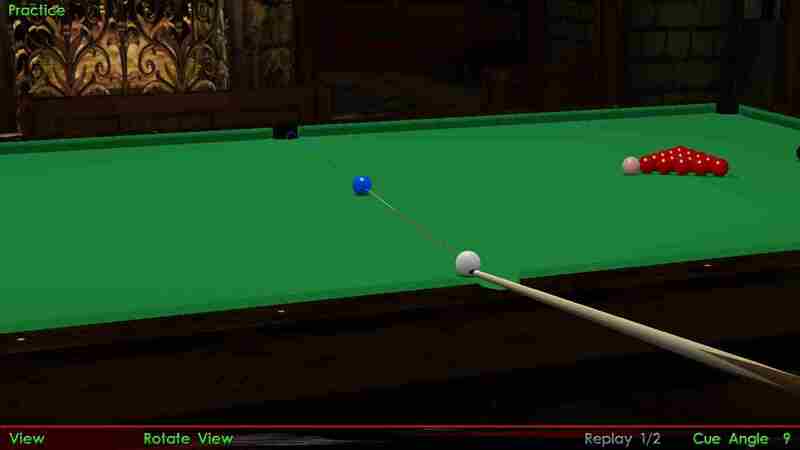 You just play the stun, go at 90 degrees to the potting line, and come back one cushion for the loose red. Now what if the red was nearer to the right side cushion? Then you would have had to play the same shot but with a little bit of bottom english and / or right hand english to ensure that you make the CB travel towards the cushion. What if it was closer to the black? Then you could have played a shot known as a stun run through. That is basically, stun, with just a little bit of follow (in order to make it run through). land on the loose red. 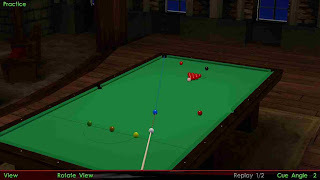 Like I have mentioned above, there is only one case when you will not be able to execute a stun shot, that is when the cue ball (CB), object ball (OB) and the pocket are in one straight line. This is known as the stop shot. You would have to choose to either execute pull back / follow and choose edges of the pocket to create an angle and land in the required direction.